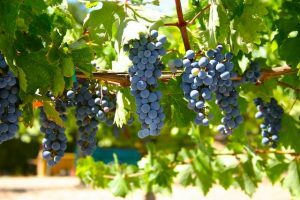 Santa Rosa, an area of rugged hills and valleys north of San Francisco, is the commercial center of a broad set of suburban communities and small towns making up Sonoma County. Geographically this area is just north of Marin County, the upscale set of San Francisco suburbs, and extends into open and unsettled areas far north of the city. Santa Rosa itself lies along U.S. 101 near the communities of Rohnert Park, home of a California State University campus and some high tech industry, and Petaluma, a growing former agricultural center. Just east across a low mountain range is the wine-growing center of Sonoma, and west the area extends to the rugged Pacific coastline. Just 55 miles north of San Francisco, Santa Rosa is a good base for exploring all that California Wine Country has to offer. Its thriving downtown boasts three distinct shopping districts, five historic residential neighborhoods, arts and culture, events, great restaurants, famous chefs, wine tasting rooms, brew pubs, and a comfortable inviting atmosphere. The town of Windsor (pop. 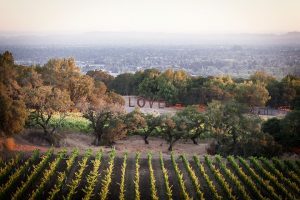 26,801) brings a deliberately designed family-friendly emphasis to the heart of the Sonoma County wine and food country. Windsor’s Town Green, designed as a pedestrian-friendly center of town, hosts more than 30 free annual events, including summer movie nights, concerts, a farmers market, and special events such as car shows, art fairs, cooking demonstrations, and a variety of festivals. Each year Windsor also hosts the popular Sonoma County Hot Air Balloon Classic and the Wings Over Wine Country Air Show. Located two miles from the Russian River, the well-planned 7.3-square-mile town boasts six community parks, more than 13 neighborhood parks, and three large regional parks. 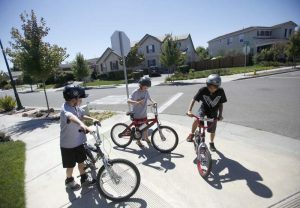 Rohnert Park, family-friendly and located in central Sonoma County, laid out in the 1950s, was one of the first planned communities nationwide. Kid-oriented activities abound. Take a spin in competition-level electric karts at Driven Raceway, roll on wheels at Cal Skate Roller Blading and Skating Center. Enjoy bumper boats, miniature golf, batting cages, and other fun activities at Scandia Family Fun Center. Bowl for a strike on one of the 50 state-of-the-art lanes at Double Decker Lanes, which includes a snack bar, video arcade with pool tables, a bowling pro shop, and a full-service sports bar. And the 128-acre Crane Creek Regional Park offers hiking, biking, and horseback riding; an 18-hole disc golf course; picnic tables; and outstanding bird watching opportunities. The Donald and Maureen Green Music Center, located on the scenic campus of Sonoma State University, is a world-class performing arts complex with multiple performance venues, a music education wing, and more. The jewel in the Green Music Center crown is the acoustically superb 1,400-seat Weill Hall concert venue. Weill Hall includes a back wall that can be fully opened onto a landscaped and terraced lawn, to expend the audience capacity for summer concerts. Sebastopol, where diversity is the key to the town of Sebastopol (pop. 7,379), located at the crossroads of state highways 12 and 116 in western Sonoma County. In this dynamic community, a small-town vibe blends with an international consciousness, creating a sophisticated rural atmosphere. Officially a self-declared nuclear-free zone, Sebastopol isn’t just populated with sandal-wearing idealists. 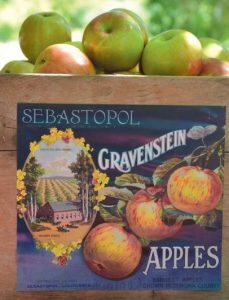 It has a rich agricultural history, including Luther Burbank’s Experiment Farm, where he developed more than 800 varieties of fruits, flowers, vegetables, and grains beginning in the 1880s. It embraces the fine arts, culture, history, the healing arts, fine dining, healthy dining, wine, farming, the environment, sustainable living, outdoor recreation and more. Healdsburg, nestled along the Russian River in the heart of Sonoma Wine Country. Healdsburg (pop. 11,254) combines small-town charm, stunning vistas, and award-winning vintages with an eclectic mix centered around a charming town plaza lined with shops, restaurants, tasting rooms, galleries, and bars. Healdsburg is a wine and culinary epicenter. Sitting at the juncture of three prime wine growing regions — the Russian River Valley, Dry Creek Valley, and Alexander Valley wine appellations — this charming town makes an ideal base of operations for wine tasting. Dining options offer something for everyone, from hearty hamburgers to haute cuisine, and just about everything in between. For art lovers, the monthly Healdsburg Artwalk highlights more than 20 downtown galleries from May to December. And the Healdsburg Museum and Historical Society hosts exhibits about the rich history of Healdsburg and surrounding areas. Petaluma, a riverside town on Sonoma County’s Highway 101 was once called the “Egg Basket of the World” for its bustling egg industry in the early 20th century. Petaluma is now known as a foodie haven, with dining options that include a mix of ethnic cuisines and awarding-winning restaurants using the best locally grown and produced products. Known for its wines, Petaluma also boasts world-class beers and ales, award-winning olive oils, and artisan cheeses that are served in some of the finest restaurants nationwide. Guerneville, charmingly rustic, the town of mixes towering redwoods, cool river waters, laid-back attitudes, and Sonoma Wine Country delights in a pleasing blend that makes it a popular destination, as well as an established gay vacation resort. Guerneville has always been a vacation getaway for San Franciscans — by train in the 1870s to the 1930s, and by car through the 1950s. In the 1970s it became a welcoming resort area for Bay Area gay men and lesbians.